Upholstered Beds You'll Love | Proudly Made in Canada! 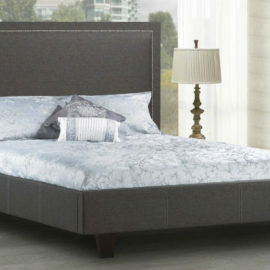 Quality upholstered beds, proudly made in Canada! Choose from a wide selection of styles and fabric options to give your bedroom a quality look you’ll love! Please note that all beds are available in Double, Queen and King sizes. Unfortunately, our fabric beds do not come as a single bed. Create your bedroom oasis and get the look you want with our wide selection of styles and fabrics. 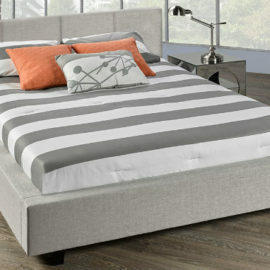 Perhaps your are looking for the simplicity of the Brent Upholstered Bed? 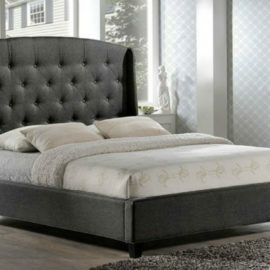 Or maybe you prefer the Wingback headboard of the Hillingdon? 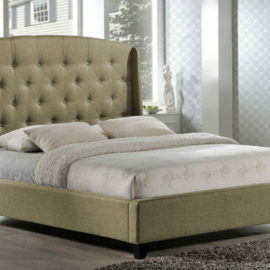 Or wrap yourself in the elegance of the Westminster Upholstered Sleigh Bed! Whatever look you crave, we’ve got the perfect bed for you. Most bed styles have the option of built in drawers, giving you additional storage without taking up more space. 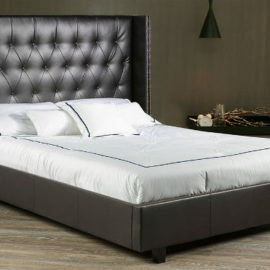 Storage beds are a great solution for condos or smaller bedrooms.